Analyzing microRNAs (miRNAs) within urine extracellular vesicles (EVs) is important for realizing miRNA-based, simple, and noninvasive early disease diagnoses and timely medical checkups. A new approach for detecting cancer biomarkers in urine has been developed using a device composed of nanowires anchored into a microfluidic substrate. 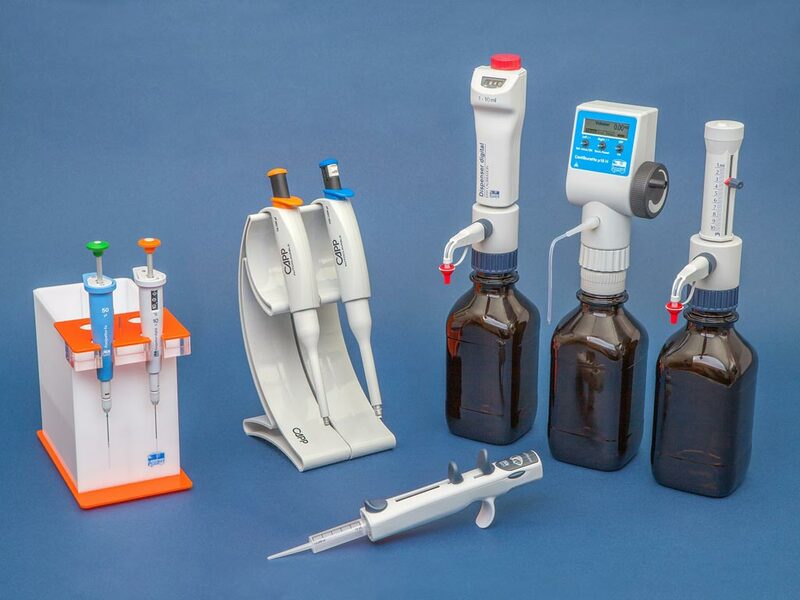 This device enables EV collections at high efficiency and in situ extractions of various miRNAs of different sequences (around 1,000 types) that significantly exceed the number of species being extracted by the conventional ultracentrifugation method. Image: The 3D Gene microarray platform (Photo courtesy of Toray Industries). Scientists at Nagoya University (Furo-cho, Japan) and their colleagues fabricated nanowire-anchored microfluidic device for in situ extraction of urine EV–encapsulated miRNAs was fabricated by bonding the nanowire-embedded polydimethylsiloxane (PDMS) substrate and a herringbone-structured PDMS substrate. This new approach relies on playing the forces of negatively charged EVs off of positively charged nanowires to extract the miRNAs from the urine of patients with a variety of diseases. The team looked at samples from patients with pancreatic, liver, bladder, and prostate cancer, in addition to healthy subjects. The scientists used a syringe pump to flow urine into the device, and then transferred the extracted samples on Toray's 3D-Gene microarray platform (Tokyo, Japan) for miRNA analysis by pipetting. Using the device, they were able to detect 1,106 different types of miRNAs in a single milliliter, versus an average yield of 200 to 400 miRNAs in total obtained using conventional methods, such as centrifugation. The mechanical stability of the anchored nanowires during the buffer flow, as well as to the electrostatic collection of EVs onto the nanowires attributed to the success of the device. The approach yielded potential cancer-related miRNAs in urine for not only urological malignancies such as prostate cancer and bladder cancer, but also non-urological ones such as liver cancer and pancreatic cancer, the scientists believe it will be widely applicable. Takao Yasui, PhD. an assistant professor and corresponding author of the study, said, “Our developed device could allow us to collect thousands of urinary microRNAs from only 1 mL of urine. Our new approach should allow scientists to move closer to the long-term goal of urinary miRNA-based early diagnoses and timely medical checkups for a variety of cancers.” The study was published on December 15, 2017, in the journal Science Advances.